Today it’s #ThanksODC day and I decide to join the idea with a post about VBCS (Oracle Visual Builder Cloud). 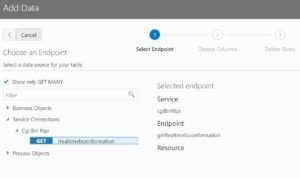 In the web browser, log in to Oracle Visual Builder Cloud Service. On the Visual Applications page, click the New button. In the Create Application dialog box, enter DublinBus in the Application Name field and Tutorial application in the Description field. The Application ID text field is automatically populated as you type based on the value you enter in Application Name. Click + Mobile Application (or click the + sign at the top of the tab). 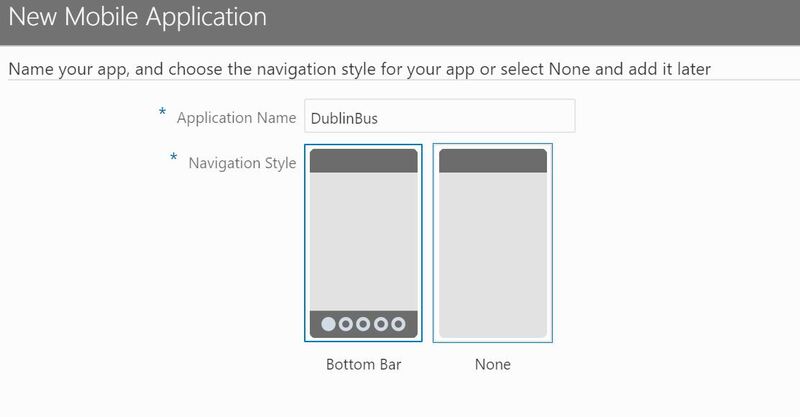 In the Application name field add DublinBus and in the Navigation Style choose none. Create a variable “stopid” as string. Add an input data go in data and change to stopid. Add a button and change the label to “search”. Create a variable bus and change the type for Array Data Provider. 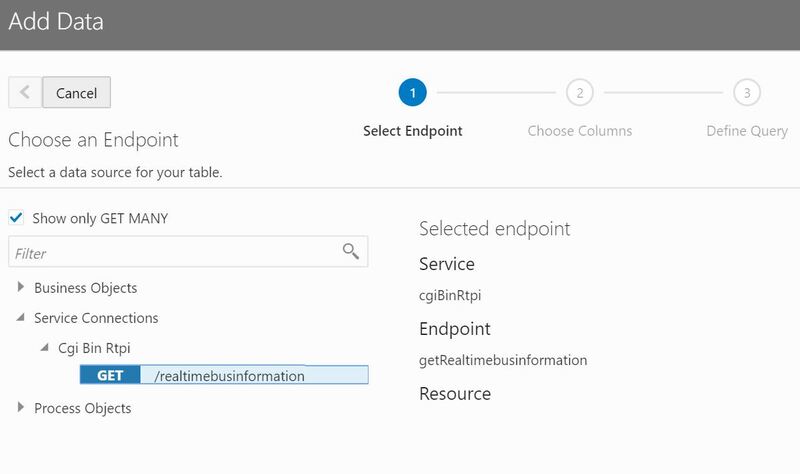 Select the table and go on tab data and change for the variable bus. I put everything in my Github, so you can get the code and play with.